Are you looking for new ways to engage your Facebook fans? Do your current Facebook engagement tactics need a little more flare? 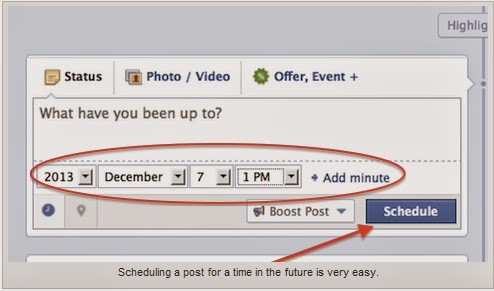 Your visibility in the news feed depends on engagement like never before. If your page is experiencing a drop in engagement, using different post types and making a few content adjustments can bump it back up. Sometimes the best-laid plans will go astray. The most important thing is to remain flexible about where you spend your time online and create strong, active presences on social networks where your customers and prospects hang out. You may have a personal connection to Twitter or Pinterest, but your customers may be more inclined to spend time on Facebook. It’s a good idea to vary where you spend your time to see what combination receives the highest level of engagement. Be sure to seek out engagement where your customers are willing for you to connect with them. If your target audience is online during their free time on weekends and you’re not posting, you’re missing out on engagement. Schedule posts to publish over the weekend and be prepared to answer any questions that arise come first thing Monday morning. Better yet, find someone who can keep an eye on the activity over the weekend and respond as needed. To schedule a post, simply click the clock icon in your status update.